It’s time to lodge your tax return Australia! At the end of the financial year we all know how overwhelming it can seem when it comes to filing a tax return. 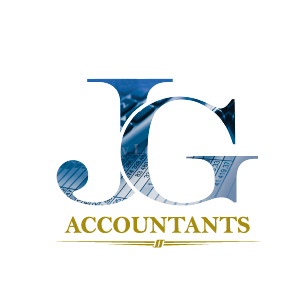 For this we rely on qualified tax agents such as the experts at JG Accountants. One of the main reasons we depend on them so much at this time of year is because they have the know-how to reap us the benefit of the best possible tax refund, or tax return Australia! Hire the right tax agent: At tax time, who better to turn to than a registered tax agent. As their name suggests, they specialise in tax, understanding all the laws and regulations associated with paying taxes. They ensure they are up to date with the ever changing tax rules. A tax agent will be able to look at your income and depending on your source of income they will be able to apply the maximum amount of taxable deductions. The end result will mean the best possible tax return Australia, for your circumstances. Keep records of all your expenses: Once you engage your tax agent, they will then ask you lots of questions. This is a good sign that they want to know all about your business. Make a list of your expenses. By giving your tax agent a full list, they will be able to decipher which ones are eligible as a tax deduction and which expenses are not. This way nothing will be missed and it will give you the edge for a good tax return Australia. Some expenses you may be able to claim include: work phone costs, laptops, uniforms, car travel for work purposes and stationery supplies. Save the receipts: Are you wondering how this may prove to be helpful? By taking snapshots of important receipts, or by keeping the hard copy, it will make things easier for your JG Accountant to maximise your tax refund. You can only claim up to a certain dollar amount if you do not have copies of the receipts for many claimable expenses. There are mobile apps in the marketplace today that assist you in helping to save your receipts, so there’s no excuse to be lazy. Even if you are old-school and don’t want to use an app for storing your receipts, there is always the paper filing method. No matter which way you do it, saving your receipts is the single most important aspect to ensure you get the most from your tax return Australia. 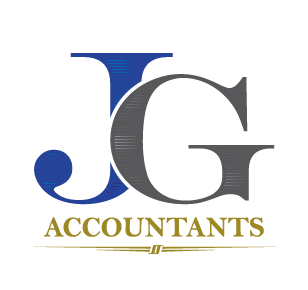 Prepay expenses: Your qualified tax accountant at JG Accountants will get to know and understand your business, whether it be a commercial business or your individual affairs. They will then be able to tell you if there are any expenses that you might incur for the next financial year that may be able to be paid in advance. For example, you may choose to pay the interest amount on any loans. By paying them early, you may be able to calculate that expense in this current financial year to offset against your income. This may provide you with a better tax benefit. If you are unclear about this, it is always best to talk to an agent about your Tax return Australia. Charity and donations: Do you know that every cent you donate over two dollars, can be tax deductible? You will be entitled to gain a percentage of your donation back in your tax refund. Once again, it’s important to keep all your receipts for any donations you make to any charities. 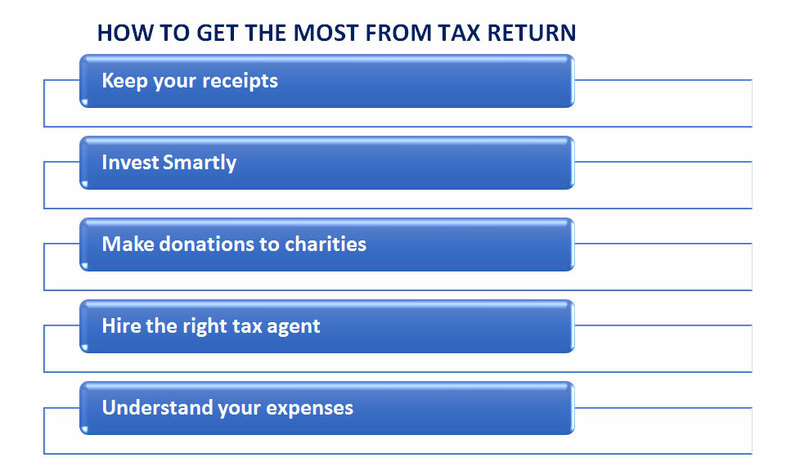 Doing a good deed at times can help you when it’s time for your tax return Australia. Smart investments: By investing in the right options you will be able to benefit more in your tax return Australia. Whether it’s mutual funds, fixed deposits or medical insurance, you may be able to save some amount of tax by investing in any of these. Discuss your budget and create the right investment portfolio with the help of your JG Accountant. To make sure you get the most from your tax return Australia,it’s always best to seek the advice from a qualified and registered tax agent or accountant. After all, taxation is their business. Knowing all the tax rules and regulations is their thing. Let them do their thing so that you can spend more time doing yours!